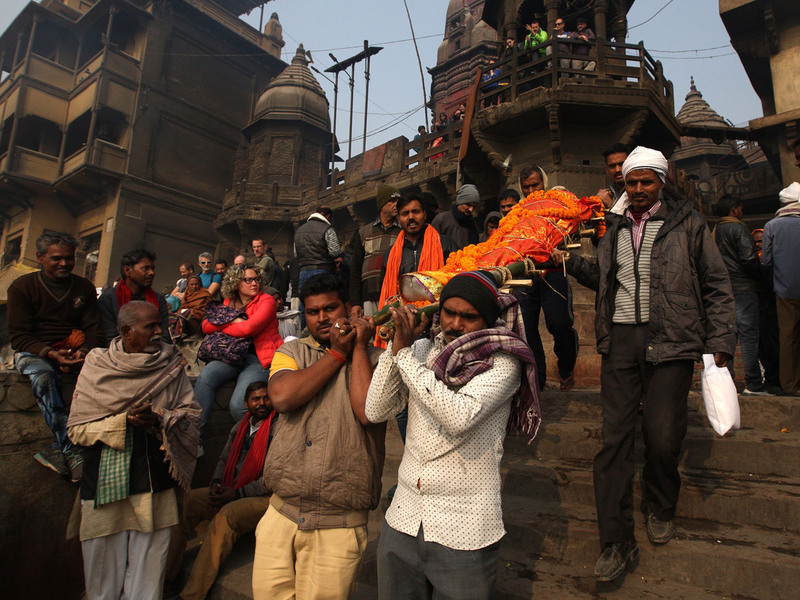 They arrive in battered cars, on crutches and sometimes on a stretcher barely able to breathe - but salvation is close for thousands of Hindus who go to the holy city of Varanasi each year to die. 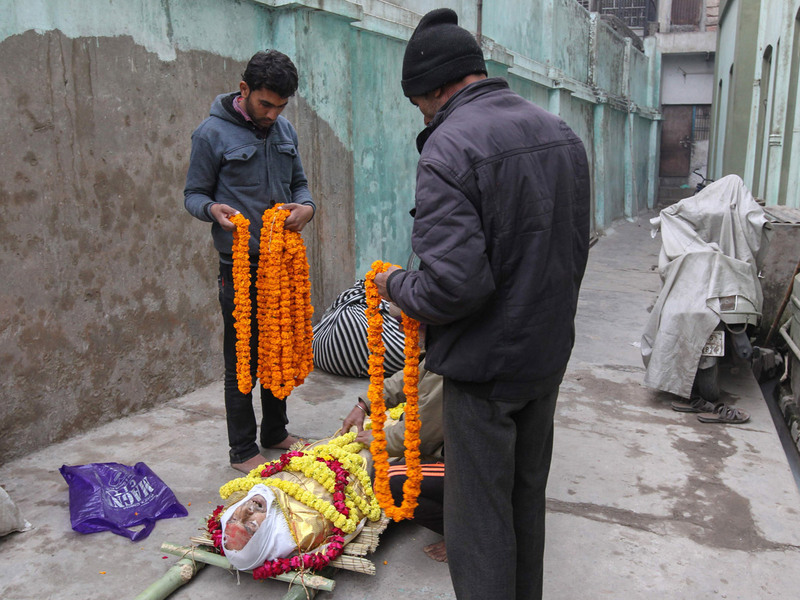 Some end up in homes for the elderly overlooking the revered Ganges river where they eventually hope to be cremated but a few struggle to the Kashi Labh Mukti Bhawan, or Salvation House, which is reserved for those with only a few days to live. About 20 men and women each month come from around the world to finish their days at Varanasi's 'Death Hotel', a tired old red colonial-era building with 12 sparse concrete floor rooms. Hindus believe that dying in Varanasi releases them from the eternal cycle of life and death reincarnation. 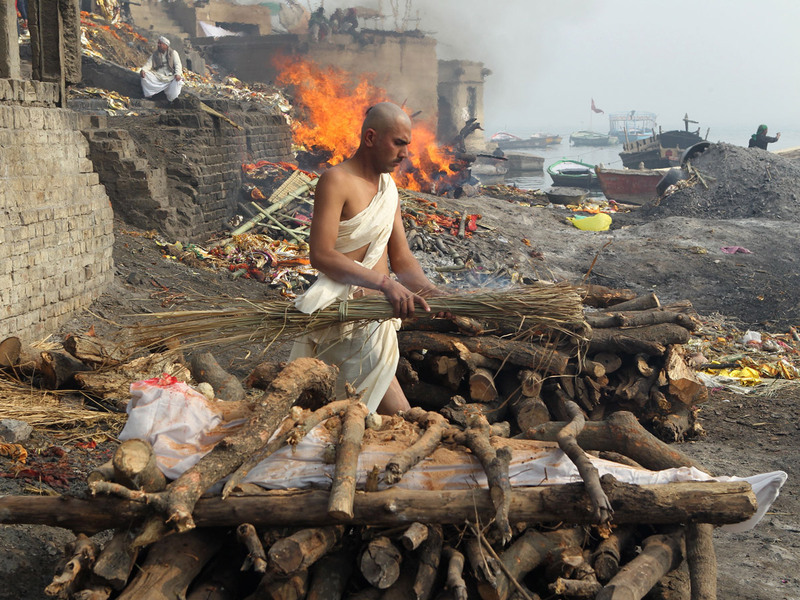 Cremation in the Ganges is an added spiritual bonus. There used to be more guest houses like Mukti Bhawan, but the buildings have increasingly become regular hotels for tourists who bring more cash to the city where 24-hour cremations on the holy river are a huge draw. Bhairav Nath Shukla, who has been Mukti Bhawan's caretaker for more than four decades, said most of his residents pass away within in a few days. Normally, two weeks is the limit for using a room. "There have been some exceptions. Some people were really sick but were still alive after more than a week," said Shukla, who is often to be found in the courtyard in front of the entrance. "Sometimes we ask their family to take them home and come back again later. Sometimes we let them stay longer." 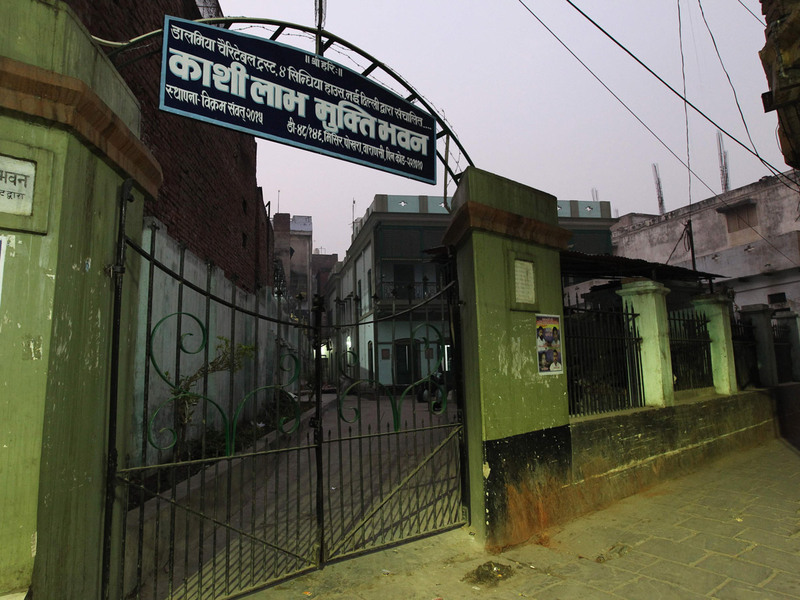 Because of the growing development in Varanasi, Mukti Bhawan, which is run by a charity, no longer has a view of the river. But there is still no shortage of mainly poor people wanting to die there. Many have travelled thousands of kilometres (miles), sometimes taking a plane from a foreign country, or even just being put in the back of a car in an isolated Indian village. The residents pay about a dollar a day for their room and a fan. Daily prayers are led by an elderly "pandit" Hindu priest who also offers residents Ganges water, which is considered pure and holy by Hindus. For those with extra cash, a local Hindu choir can also be hired to perform holy songs for the ailing visitors. "All kinds of people from different backgrounds come here," said Shukla. "They come from the east, the south, remote northeast India and abroad. "Most come here with their family who pray and wait for the end." Shukla reckons more than 15,000 people have died at Mukti Bhawan and been taken to the Ganges for cremation since it opened in about 1908. And while Hindus maintain their undying belief in Varanasi's spiritual powers the Mukti Bhawan path to salvation has a bright future, he says.